NANCY THOMAS GALLERY ONLINE: ~ NOVEMBER MANAGER'S SPECIALS ~ WOW! ~ NOVEMBER MANAGER'S SPECIALS ~ WOW! You'll be STAR STRUCK when you see what we're offering this month! Star Struck Santa 7x10 and 11x14 - print mounted on wood! Star Struck Santa - Nancy's loves her Santas. 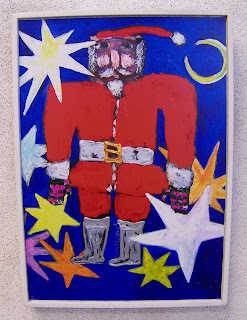 Here is one of Nancy's more unusual interpretations of Old Saint Nick. Perfect for the contemporary collector! Wind Up Bird - 21x21 print framed in checkered frame! 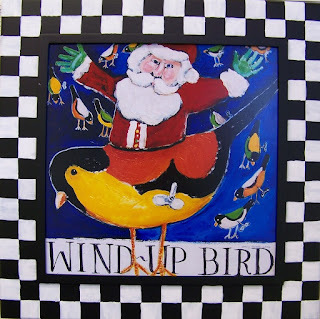 Wind Up Bird! - Just like the old wind-up toys or yesteryear! This one's gonna "fly" away! Santa Baby - 7x10 and 11x14 - print mounted on wood! 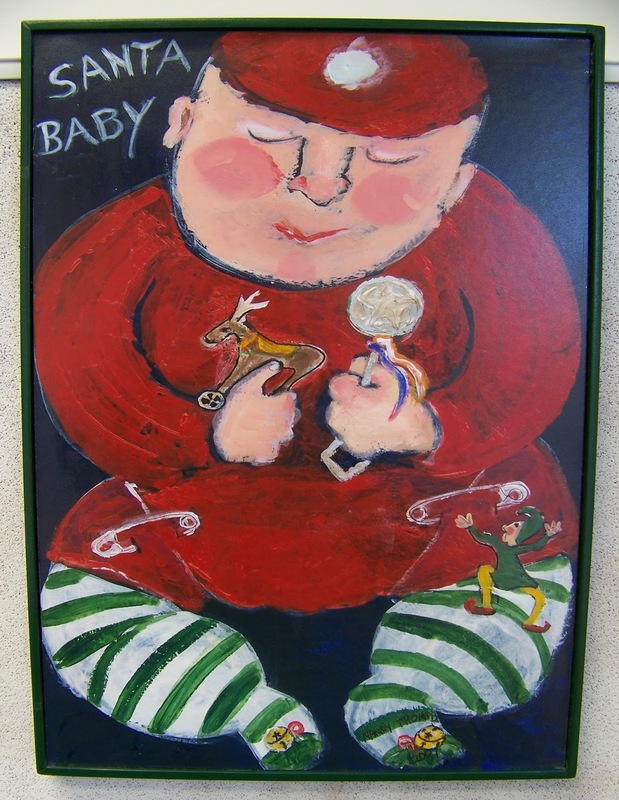 Santa Baby - Santa Baby, Hurry down the chimney tonight! Wind Up Bird - 13x13 -wooden frame with two toppers! 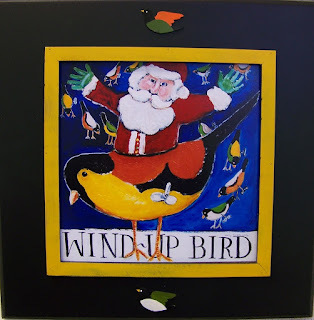 Wind Up Bird! - Wind it up and let it go!! THE FINE PRINT~You knew there would be fine print with this offer, right? IN-STORE, IN-STOCK only. At this great price, it's first come, first served! ALL SALES FINAL and no other discounts apply. We are pleased to offer this November Manager's Special! Saturday, November 10th and Sunday, November 11th! for AN OPEN HOUSE OF SURPRISES! Noshes and plenty more surprises!! 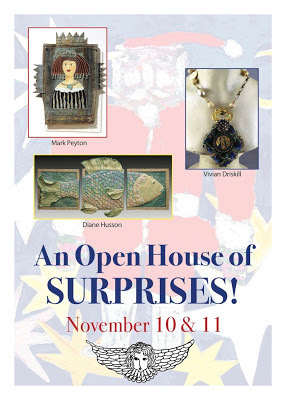 "AN OPEN HOUSE OF SURPRISES!" - It was FUN!! !